Adventure Outfitter in East Tawas - a true outdoor specialty shop. 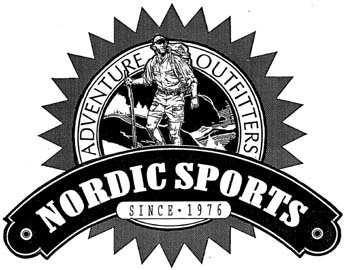 Since 1976, Nordic Sports has been outfitting Northeastern Michigan with comfortable clothing, rugged and casual footwear and quality outdoor gear for all "Up North" seasons. We are the place to come for hiking, canoeing, kayaking, fly fishing, cross-country skiing, snowshoeing and camping equipment and advice. We’re a true outdoor specialty shop offering the best in supplies and accessories from the outdoor industry's top names, and our personalized service and knowledge are well respected amongst our loyal following of long time customers. Whether you seek the solitude of the wilderness, or the relaxation of rivers and lakes, our friendly staff will assist you in choosing all the right gear -- and perhaps even give directions to one of our favorite outdoor spots. We're always happy to share tips and advice on where to explore, and we look forward to getting to know you, personally.